The clock is counting down to Barry Roche’s testimonial match at the Globe Arena on Sunday. 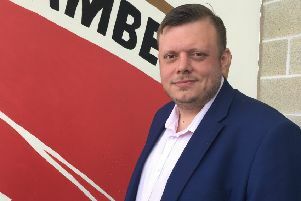 The Morecambe keeper is celebrating a decade at the club, starting with a match featuring a Shrimps Legends team against a celebrity squad. “I’ve loved every minute of it and I’m very proud of the fact that I’ve been at this brilliant club for so long,” Roche said. “When you come to a club, you don’t envisage you’re going to be there that long. “At this level, there’s always one or two-year contracts being handed out. Watch as the 36-year-old discusses how long he can continue to play.